As the industry continues to shift towards downstream diversification and expansion into higher value and niche markets, integration across the industry’s value chain plays a significant role. In line with industry developments, ADIPEC 2018 delivers enhanced downstream technical content with more sessions across more categories. 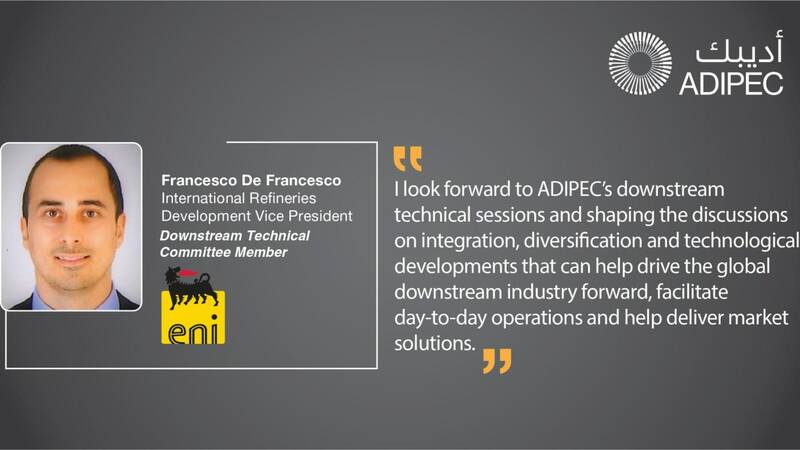 Over 3 days, the ADIPEC 2018 Downstream Technical sessions provide a holistic view of refinery and petrochemical integration, project developments and latest technologies that can help drive your business forward and improve your day-to-day operations. The deadline to submit your abstracts is Thursday 24 May 2018.